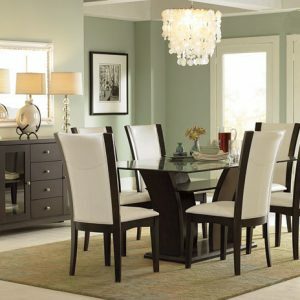 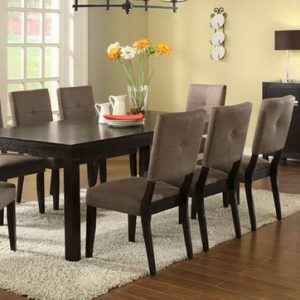 Your modern dining room will be perfectly complimented by the tanager collection. 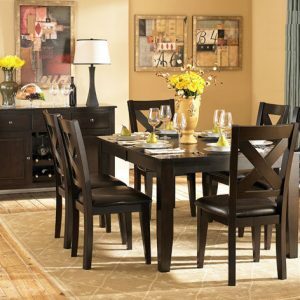 A dark espresso finish highlights the ash veneer providing a rich contrast to the clean contemporary lines of the tabletop and rectangular pedestal base. 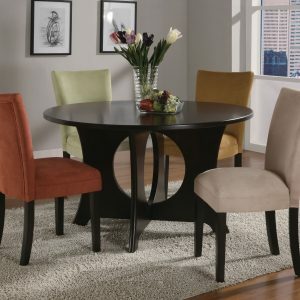 Neutral tone fabric chairs feature espresso finish wood framing and generously appointed seating.